Lets get together and remind our 1 billion country men and women, the sacrifices that went into creating what we today call OUR INDIA - one of the fastest growing nations in the world and the superpower of tomorrow. Millions of our fore fathers who fought for India's freedom - many whose names no one remembers, millions of those unsung heroes who gave their lives passionately to protect the soil you stand on today! 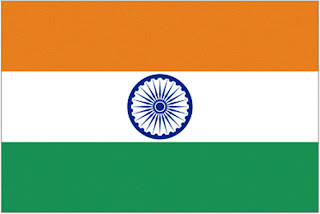 This post is dedicated to those great Indians, whose blood still flows in you and me. Its because of these hero's that India sees a new dawn, an era of prosperity. It's now time we let the world know that India has arrived. Lets tell everyone around us how much we love India. Lets go that extra mile and do that something special for India. Saare Jahan Se Achha, Hindustan Hamara. What do you say dear fellow Indians ?